All companies and teams only change their leader when they are forced to do so or when the current one isn’t delivering what the owners seek. Only a fool changes a wheel when it isn't broken. 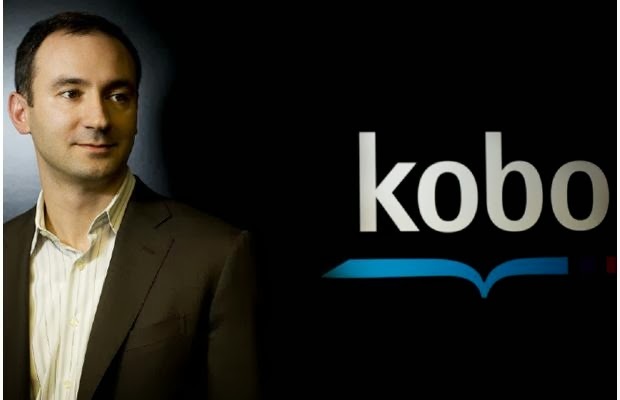 Two years after Kobo was acquired by Japan’s Rakuten they have announced that Kobo CEO Michael Serbinis is stepping down as chief executive of the ebook company. Serbinis will be replaced by Takahito “Taka” Aiki, with immediate effect and Aiki is to relocate to Canada. It is reported that Serbinis will remain with Kobo as the company’s founder and vice chairman. Until recently Aiki was CEO of the Japanese telecom company and subsidiary of Rakuten, He is reported as bringing, ‘a wealth of experience in building and growing successful projects and companies, and has built his career on achieving ambitious goals and forging strong teams.’ So the obvious question is whether that is what Rakuten did not see in Serbinis? Or is it a planned handover which just happens to happen immediately? Kobo have been making good progress and have thrust themselves into international markets and sought first mover benefits, but they remain at best number three and a long way behind number one. They claim 18 million users in 190 countries with a digital book library of more than 4 million titles in 68 languages but is that enough? They still have hardware that worked initially but is now subject to fire sale pricing and is looking like a duck out of water. Like Nook they have developed the platform approach but they remain focused on a single media, ebooks, in a multi media world. They have been quietly developing and taking control of their DRM walled garden and moving away from the transaction cost model of Adobe. But you have to ask is it enough for a player the size of Rakuten? All Aboard The Next Amtrak!